Glenda Beall and Estelle Rice will visit City Lights Bookstore on Saturday, November 10th at 3 p.m. They will present Paws, Claws, Hooves, Feathers, and Fins, a collection of poetry and stories about the pets they have loved over the course of their lives. If you have ever loved a dog, rescued a pet, had an animal change your life, you will enjoy this book. 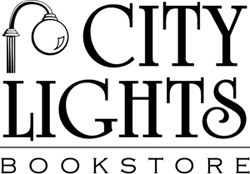 To reserve copies of Paws, Claws, Hooves, Feathers, and Fins please call City Lights Bookstore at 828-586-9499.